After ticket s ales were cut short last week, the rest of the Soulive tickets are available starting tomorrow (Monday, so today?) at noon in Usdan. The show itself is THIS FRIDAY, April 2nd, in Beckham at 10pm. Tickets are $8 in cash, no student accounts, sorry! Oh, and since this has come up a bunch: yes, you can bring non-Wes people. Each Wesleyan student can bring in up to 3 guests. You just have to bind your student ID to their photo IDs and leave all that plastic at the door. So again. Tickets. $8. Usdan. Lunch times til they’re gone, so get them while the getting’s good. 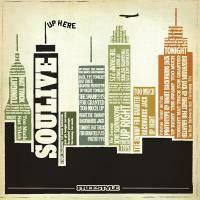 Posted by Axelrod in Culture, Music and tagged concert, mad wow disease, Soulive, tickets on March 29, 2010 at 12:34 AM.